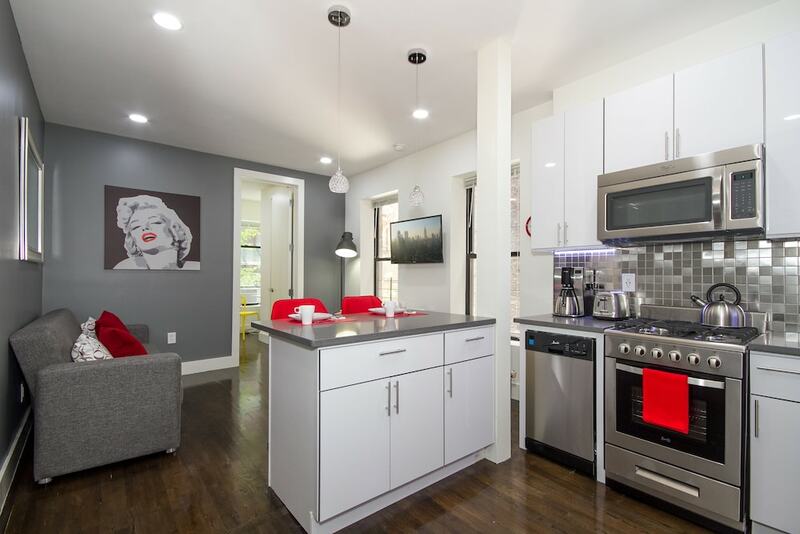 Located in Harlem, Hamilton Heights Stylish Apartments is within 2 miles (3 km) of popular attractions such as Columbia University and New York Presbyterian Hospital. The 3 rooms at this 3-star apartment building include kitchens, living rooms, and refrigerators. Each apartment is air-conditioned and features a kitchen and space to spread out with a living room. A flat-screen TV comes with cable channels, and guests can stay connected with free WiFi. Other standard amenities include a coffee maker and an ironing board.